Soapbox helps clients raise awareness of the good work they do. Public awareness of our impact on the world around us is no longer relegated to recycling or carpooling. Consumers, voters, and policymakers are all putting sustainability at the forefront of their decision-making: successful businesses, organizations, and candidates must do so as well. Yes, we recycle. Yes, we drive a hybrid. But more importantly, we seek out companies, campaigns, and organizations dedicated to sustainability and the development and delivery of clean energy. 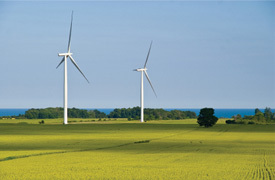 We have helped several clients such as Wind Capital Group, Proposition C — The Missouri Clean Energy Initiative, Microgrid Energy, and the Natural Resources Defense Council raise their positive profiles and communicate targeted messages to the public and to key policy makers in support of legislative objectives.